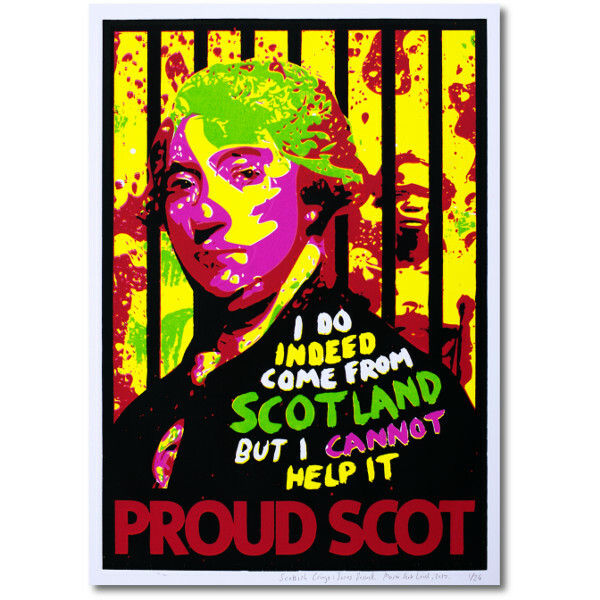 'Scottish Cringe: James Boswell.' 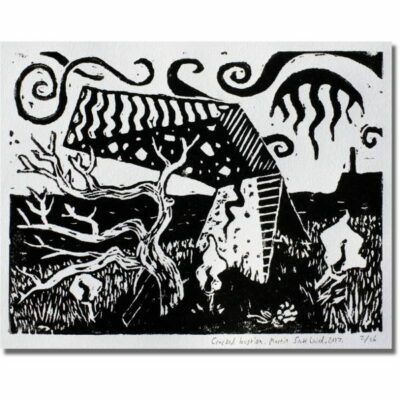 Screen print by Martin Laird, Orkney. Signed, numbered, limited edition original screen print. Size 300x420mm (print area). Suits glass size approx. 400x520mm. 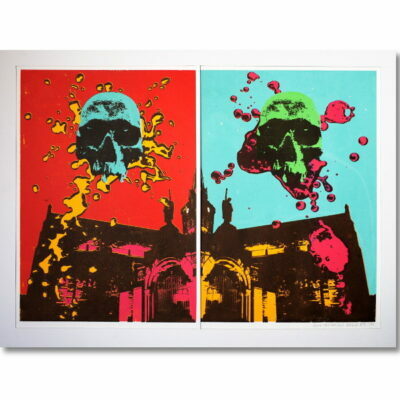 Screen-print artwork produced in a limited edition run of 24. James Boswell, Scottish biographer of English literary figure Samuel Johnson, as seen from the 21st Century. The subject concerns the phenomenon of the “Scottish cringe”, a cultural inferiority complex supposedly afflicting the Scots. 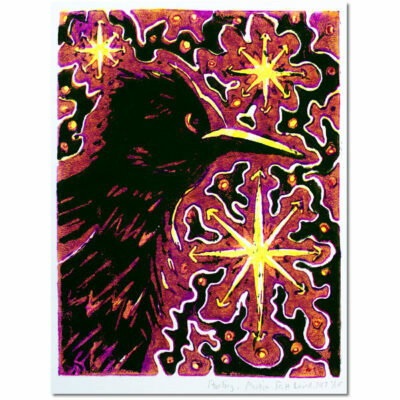 The print is supplied unframed and unmounted. Size 300x420mm (print area). Suits glass size approx. 400x520mm. Posted Royal Mail Special Delivery, in a protective tube. There will be a small degree of variation between prints due to the hand-made nature of the screen printing process. Picture shows a representative example.